If you’ve ever been driving at the weekend and noticed a series of classic cars going past in what is clearly an organised event, then you have seen a Classic Car Run or Touring Assembly. 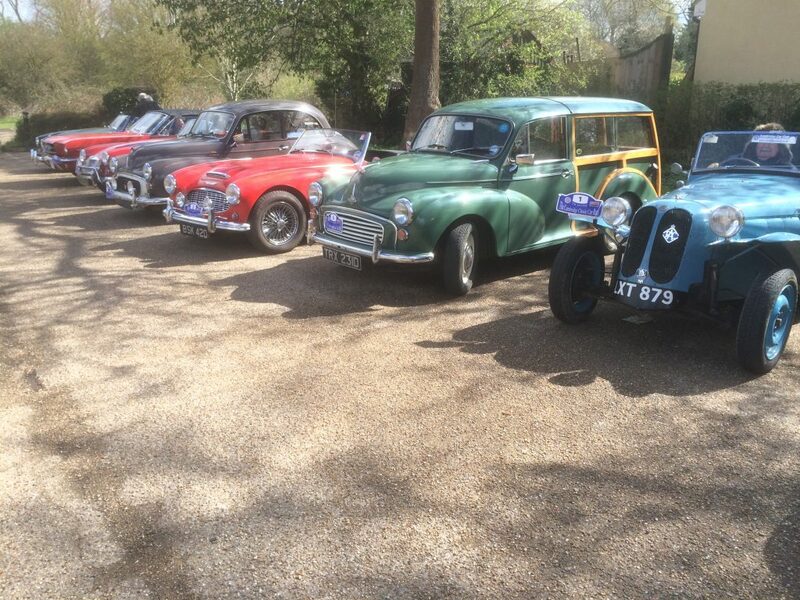 It is not a competition but it is an opportunity for classic car owners to get together and take their pride and joy for a pleasant run through the countryside, while for the rest of us we can admire a collection of some of the finer examples of motoring history. 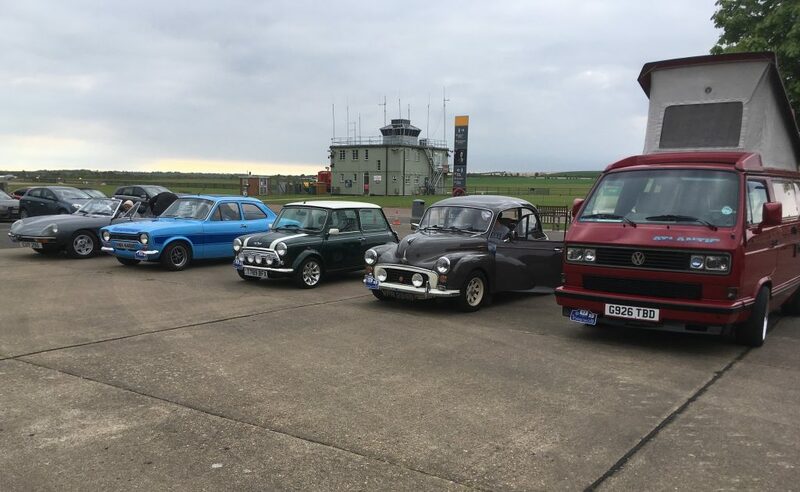 There are no particular rules for what cars are eligible and at Cambridge Car Club we like to make it as wide as possible. CCC organises the Cambridge Classic Car Run around April each year. This is a tour of around 70-80 miles, mostly on minor roads, starting and finishing somewhere near Cambridge. It stops at a few interesting places on the way such as working mills, museums or airfields. As well as being places of interest, these provide good photo opportunites for the classic cars. We have also raised thousands of pounds for St. Nicholas Hospice from this event in the last few years. 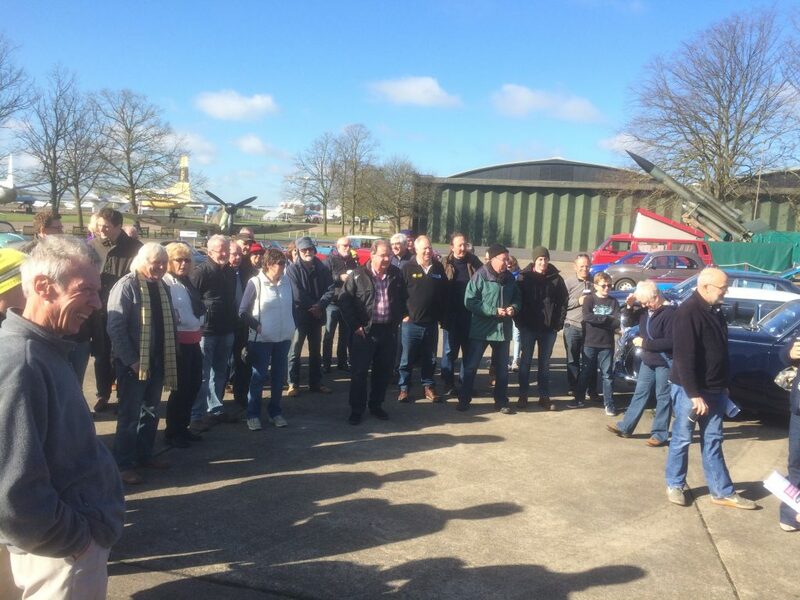 Entrants at the pre start briefing of the 2016 Cambridge Classic Car run, with the Bristol Britannia airliner in the background, and it seems a Bloodhound missile on the back of a VW T3 Atlantic campervan.